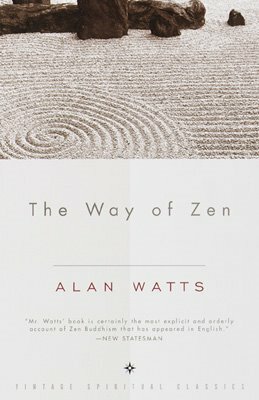 The title of this post is a reference to something Alan Watts wrote in his 1957 book, The Way of Zen. That is: "In studying or practicing Zen it is of no help to think about Zen. To remain caught up in ideas and words about Zen is, as the old masters say, to 'stink of Zen.'" First, another Alan Watts quote, which I would say myself at this point, but he has already said it so well that I must quote him instead: "I suppose most of you have heard of Zen. But before going on to explain any details about it, I want to make one thing absolutely clear: I am not a Zen Buddhist, I am not advocating Zen Buddhism, I am not trying to convert anyone to it. I have nothing to sell." That's the part I wanted to say at the offset here, but to continue his quote, he said: "I'm an entertainer. That is to say, in the same sense, that when you go to a concert and you listen to someone play Mozart, he has nothing to sell except the sound of the music. He doesn’t want to convert you to anything. He doesn’t want you to join an organization in favor of Mozart's music as opposed to, say, Beethoven's. And I approach you in the same spirit as a musician with his piano or a violinist with his violin. I just want you to enjoy a point of view that I enjoy." As an amusing side-note, Trey Parker and Matt Stone did an animation-tribute to Alan and his teachings, which includes this bit, and can be seen: here. ...which, if you click that image there, you can purchase and enjoy. It is generally considered to be the West's first real introduction to Zen. That's the first volume, and I recommend picking up a copy - just click the image of the book. Then, if you don't stink of Zen enough, I recommend hunting down a rock in a stream with just the right amount of moss and wabi-sabi, then picking up some of the real genuine expensive tiger green tea powder, and building a tea house in your back yard beside the coy pond, and inviting your Samurai friends over for a nice Zen time. Only joking, of course. 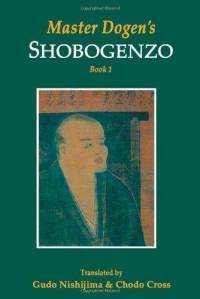 Personally, I've been reading Shobogenzo every day on busses and trains to and from work, while listening to a Tibetan Chants Pandora station, effectively mixing up East and West (the west side of the east anyway), ancient and modern, and etc. Post-Script: If you want to, you can download both of these by clicking: here for Way of Zen and here for Shobogenzo, but the translation of the Shobogenzo linked to with the image above is supposed to be a better translation. certainly a few typos in there... sorry. You ought to be able to get the gist. Imperfection, eh! Thank you for posting! Sorry it took me so long to reply. :) I remember that South Park, lol. Yeah, I like the more strict definition of Stink of Zen - that anything but actually sitting still and gazing misses the point and ceases to be Zen (Dhyana/Meditation).